He was an electro-optical ordinance repairer with the 2nd Maintenance Battalion, 2nd Marine Logistics Group Camp, Lejeune, NC. Cpl Hartzells military awards include the Good Conduct Metal, The Global War on Terrorism Service Medal and the Nation Defense Service Medal. Cpl Hartzell joined the Marine Corps in September 2006. 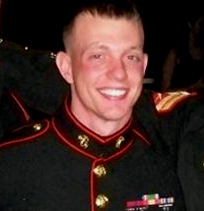 Cpl Joshua E. Hartwells died at the hands of a fellow Marine.